Sophia La Belle “Brazilian Keratin Treatments” minimizes and softens the curl pattern from 40% to 80% and in case of wavy fine hair up to 100%. HRC ingredients are collagen for elasticity, Monoi oil from the island of Tahiti, caviar oil, Argan oil, vitamin B5, and vitamin E, amino acids, and Keratin protein. Removes frizz, makes hair much more manageable. Hair can be washed “within 24 hours”. Depending on the treatment level, hair texture, level of activity in lifestyle, consistent use of after treatment products, Rejuvenax Keratin Hair Botox can last 2.5 to 6 months. Repairs by penetration and replenishment of hair follicles inside and provides a protective coating on the outside. Can be done on all types of hair including curly, wavy, straight, frizzy, or even damaged hair, previously chemically treated including color and highlight services, or relaxed hair, sodium Hydroxide Thio Chemical, Japanese Straightening treated hair. Reconditions hair texture, repairs split ends, and enhances shine and softness. Rejuvenax is Hydro-nutritive and anti-ageing product. All products are: Thermal, UV, & Color protect, Sulfate & Sodium Chloride free. All fragrances imported from France, formulated in Brazil, manufactured in USA. Know What Our Clients Have to Say About Us! 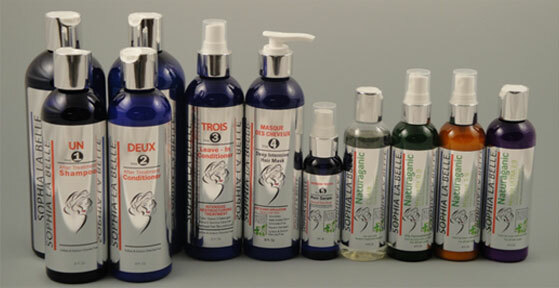 ”I love this brand and theire hair botox treatment offered at sophia la Belle. It repaired the damages done by years of abuse and my hair is super healthy now. The customer service at the salon is great they are super friendly and caring. ”Sophia la belle is hands down the best Brazilian keratin treatment place in DMV area. I have been going to them for couple of times, and believe me I don't regret my switch from Japanese treatment to Brazilian keratin treatment. ”I like my hair Botox. They did a really good job and I love how my hair looks and feels without any product in it. Over 25,000 Treatment performed since 2010! Rejuvenax Keratin Hair Botox Treatment protects and reconditions your hair without harsh chemicals while “repairs” damages done to your hair by coloring, highlighting, over-processed hair, heat and water damage. Rejuvenax Keratin Hair Treatment is an innovative concentration of active ingredients and uses a combination of collagen for elasticity, Monoi oil from the island of Tahiti, caviar oil, Argan oil and other essential nutrients including vitamin B5, E vitamins, amino acids, and Keratin protein. This precise concentration of ingredients is the revolutionary HRC (Hair Rejuvenation Complex).